Our commitment to providing a high quality training service that meets your specific needs. 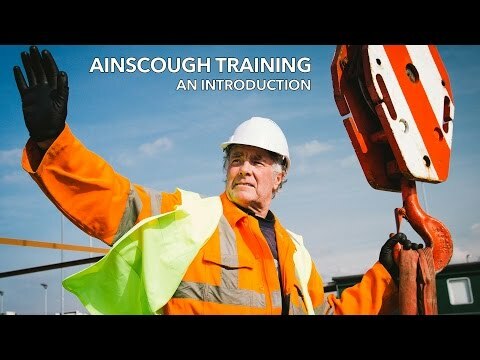 This charter sets out the business standards which staff and representatives of Ainscough Training Services adhere to, and form an integral part of the companyâ€™s policies and procedures. It aims to bring clarity and transparency to our dealings with customers and is an essential component in meeting our objective of ensuring that their needs are fully understood and met. We are committed to providing a welcoming customer experience; our staff are our most important asset and have the ability to make a positive impact on the service and quality of training you receive. At all times staff will be smartly/appropriately dressed and respond to customers and candidates in a polite and courteous way. We aim to meet the different levels of abilities including language barriers and learning difficulties. We will provide our customers with a comprehensive one stop service for information, guidance and competency assessment that supports them through the whole process with reminders sent at key stages to ensure validity of cards. We promise no hidden costs: all costs include training, card fees and refreshments in any prices quoted. We take safety very seriously. We adhere to strict and externally audited procedures on safety and every effort is made to ensure your safety whilst you are on our premises. The training we deliver ensures your competency with Health & Safety in your own work place. We have an unblemished safety record. Our employees will ensure that we identify your needs and requirements before presenting our proposal, and to do so may need to ask a number of questions. has emailed back their confirmation. Our terms and conditions are issued with every booking and require the customerâ€™s confirmation that they agree before an invoice can be raised. For more in-depth enquiries a relevant expert will be made available to discuss your needs and requirements. Should a candidate not pass the required test/assessment a personal one to one feedback and coaching session will be offered identifying key actions and retake options. We provide an unrivalled after care service and all candidates will have access to talk to one of our instructors after their training for an indefinite period of time. We will aim to resolve all issues in an efficient and timely manner.